Laura Poitras, who filmed and directed “Risk” came to prominence with “Citizenfour” a documentary film about the release of secret documents by Edward Snowdon (2014). In June 2013, accompanied by Glenn Greenwald and Ewen MacAskill, from The Guardian, she went to Hong Kong and meet Edward Snowden. “Citizenfour” documents four days of interviews with Snowdon in Hong Kong, and this is the centrepiece of the film. 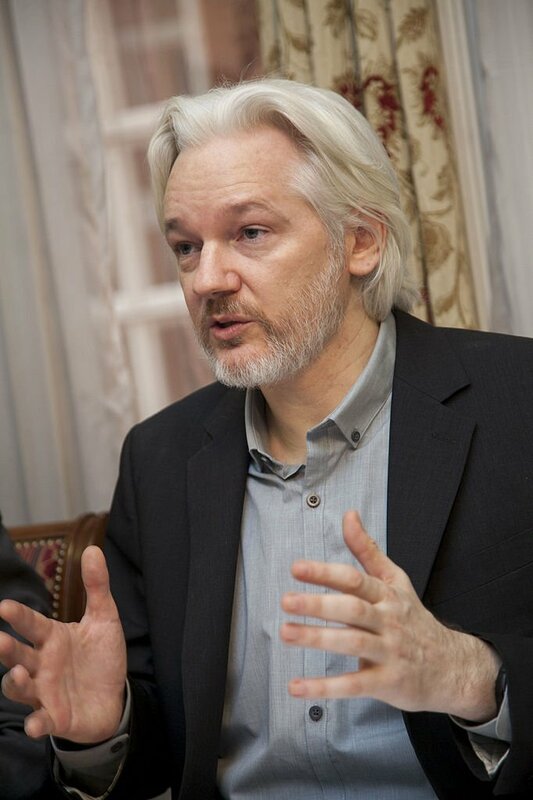 Julian Assange, the founder of WikiLeaks, was also involved in helping Snowdon and organizing help for him. It was therefore natural that Laura Poitras would make a film about him and his trials and tribulations. “Risk” is very much a film record, which covers a period of six years. Laura Poitras was part of Assange’s inner circle and had extensive access to Assange and his planning. Because this is a very personal documentary, with a man who Laura Poitras came to know very well, this cannot be a wholly objective account, it is however clear that Assange is a very complex and driven man, obsessive in pursuit of his objectives. The New York Times said of the film that it is, “complicated, unsettling and intriguingly ambivalent.” Poitras seems to question Assange’s behaviour by the end of the film, which ends without clarifying her opinion of Assange, and the film was completed before the release of the Hilary Clinton emails by WikiLeaks at the end of 2016. Assange is a complicated and driven personality, very knowledgeable about the secret world he operates in and rightly highly suspicious of the objectives of the United States, and understands that where he to come within their authority he would probably spend the rest of his life in a maximum security prison. What is remarkable about this film, as with Citizenfour, is the level of access that Laura Poitras was given, at best this is a fly on the wall documentary dealing with a very interesting period in the life of Assange, the time he spent in Norfolk under house arrest, and the dramatic flight to the Bolivian Embassy, near Harrods, where he remains to this day, too frightened to leave in case he is sent to the United States. This is a record of contemporary events that have had important ramifications, please take the opportunity to see it, you will certainly be better informed. Once more Laura Poitras has successfully undertaken a difficult job and produced another important film. Note: the BBC have recently aired this film. © Andrew Palmer, 2017. Do not reproduce without permission.